In recent years the Willow works has been used as a cattle barn. The lean-to shed at the west end, which had been used as an open-air storage and drying area for willow, collapsed some years ago. 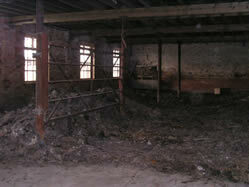 The main building was now in a dangerous condition and fencing had been erected to prevent access. Some roof tiles were missing and this allowed rainwater in, damaging the brickwork, roof timbers and flooring. Broken guttering had caused further deterioration where water has flowed down the walls rather than the drainpipes. Left on its own, the building may have collapsed at any time - heavy snow, a single very bad storm or a wet and windy winter could have been the final blow. The building is owned by The Environment Agency and stands in a flood plane where the RSPB's largest bird reserve in England is being planned. There were only two possible futures for the building. 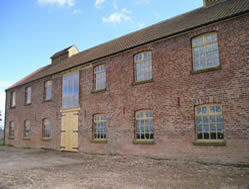 One was for it to be restored and used for some purposes related to its history, the village or bird reserve. The alternative was demolition. The first option to restore the Old Willow Works was chosen by The Parish Council after many meetings with The Environment Agency and a sub committee was set up to progress the project. Funding was secured from Gainsborough Alchemy for a feasibility study, Nottinghamshire County Council and Building Better Communities for repair work. The first stage feasibility study was completed in October 2005. 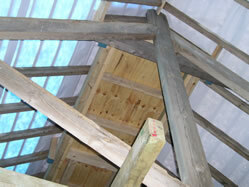 A main consideration for work to be carried out was, wherever possible, to use local tradesmen and materials. 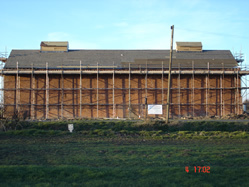 Scaffolding was erected at the end of December for contractors to commence works from early January 2006 to meet deadlines imposed by the end of March 2006. Throughout January and February brickwork and badly rotted roof timbers were renewed or replaced, with grateful donations of timber received from John Brash & Co Ltd. Parts of the flooring to the upper level were covered to enable work to be carried out safely. 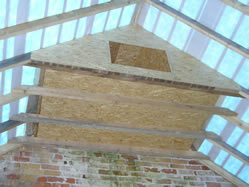 Although the Bat Survey in September 2005 concluded no bat population in recent times, bat roosts have been installed in the hope of attracting a future colony. Owls, however, had nested in the building for several years and these have been catered for via nesting boxes located either end with access via vertical slits under the eaves. 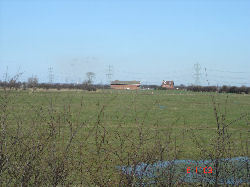 Funding was secured from The Environment Agency, allowing these inclusions. Throughout the period of renovation volunteers have been helping to remove the many years' build-up of cow manure from the interior ground floor of the building. By early March 2006 the roof vents had been replaced and new windows and doors were treated and fitted on the north side of the building. The final work was completed in March when the roof was fully tiled, new guttering replaced meeting all the funders' deadlines. 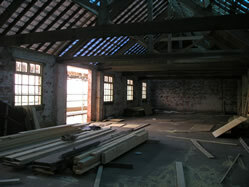 In May 2006 an Open Day was held at the Willow Works to exhibit the completion of Phase One of the restoration project, to which over 70 people were invited all of whom had been involved in some way. Further funding was sought and efforts were made to secure the next phase.